Genuine Wellness – We help our customers find the best natural solutions to meet their specific health concerns in an affordable, convenient manner. We help our customers find the best natural solutions to meet their specific health concerns in an affordable, convenient manner. I offer simple, practical solutions to help people optimize their health, while saving money and time. I’m the owner of Genuine Wellness, a Registered Holistic Nutritionist, and a lover of all things natural. 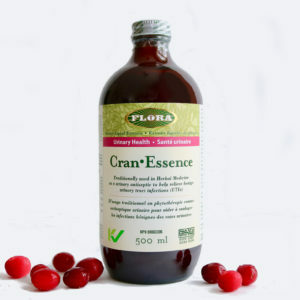 Cran Essence is a blend of cranberry juice with additional herbs specifically formulated to relieve symptoms of a urinary tract infection. Cranberries have been shown to protect the urinary system by preventing bacteria from adhering to the urinary tract. The blend of herbal ingredients include diuretics to help flush the urinary system and antiseptic herbs. These include juniper, parsley seed, yarrow, and uva ursi.